"Goths! On The Bus!" will screen at the 13th Annual Antimatter Film Festival on October 15, as part of the "The Delian Mode" program alongside new work from Canada, USA, Germany and Ireland. 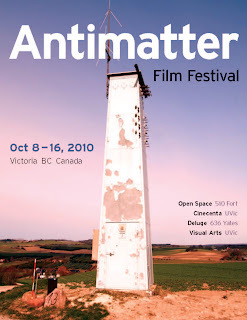 Antimatter is a great festival that showcases international underground, experimental and new media works. I have had the pleasure of screening at the festival several times in the past and have attended a few times as well. Always good times!